Toronto Police made 170 impaired-related arrests from the start of the RIDE (Reduce Impaired Driving Everywhere) program on November 14 to the end of December. Traffic Services Sergeant Brett Moore said over 300 ride details were deployed during the holiday season, resulting in those arrests. Overall, a total of 1,042 alcohol-related and 74 drug-related arrests were made during 2018. 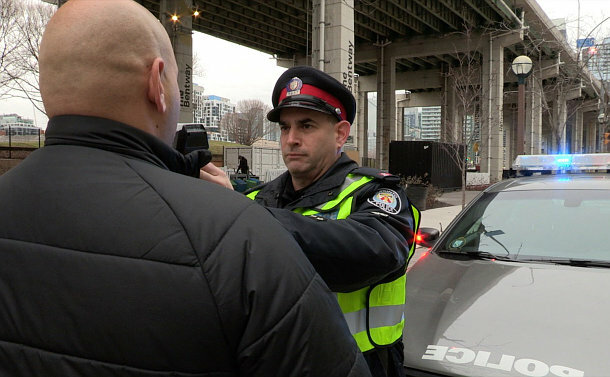 Police Officers now have the authority to demand a breath sample from any driver they stop even if they don’t suspect the person is impaired. Drivers are also reminded that police have the ability to screen drivers for impairment by drugs and that it remains illegal for anyone in a vehicle to consume cannabis. Moore says the public is an important partner in identifying impaired drivers with almost 8,500 citizens calling 9-1-1 during 2018 to report an impaired driver.